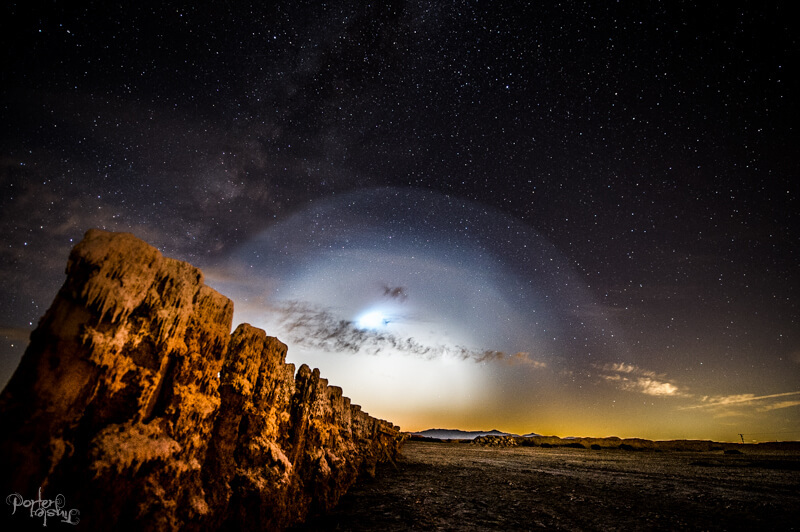 Eye witness testimony: Standing on Bombay Beach (a wasteland in its own right) taking long exposures and timelapses, we saw a flaming….something that looked like it was coming toward us. When it exploded and kept expanding, I realized it wasn’t a plane on fire but thought there was a good chance that a chemical or nuclear weapon had detonated over Los Angeles/Southern California. All I could do was stand there and realize life as I knew it could be over in a few minutes. So I did what anyone else would do. I took pictures of it. The first few frames of the initial “white” explosion/blast/whatever are missing because for the life of me as I watched what I thought was maybe the end of the world, I forgot entirely how to use my camera. I haven’t seen images like this on the news or in social media pics, what we saw was very different from what folks in L.A. saw. GIF below, full gallery below that. What On Earth Was This Mysterious Light In The Sky Above The West Coast Last Night? Alien Nation: Have Humans Been Abducted by Extraterrestrials?